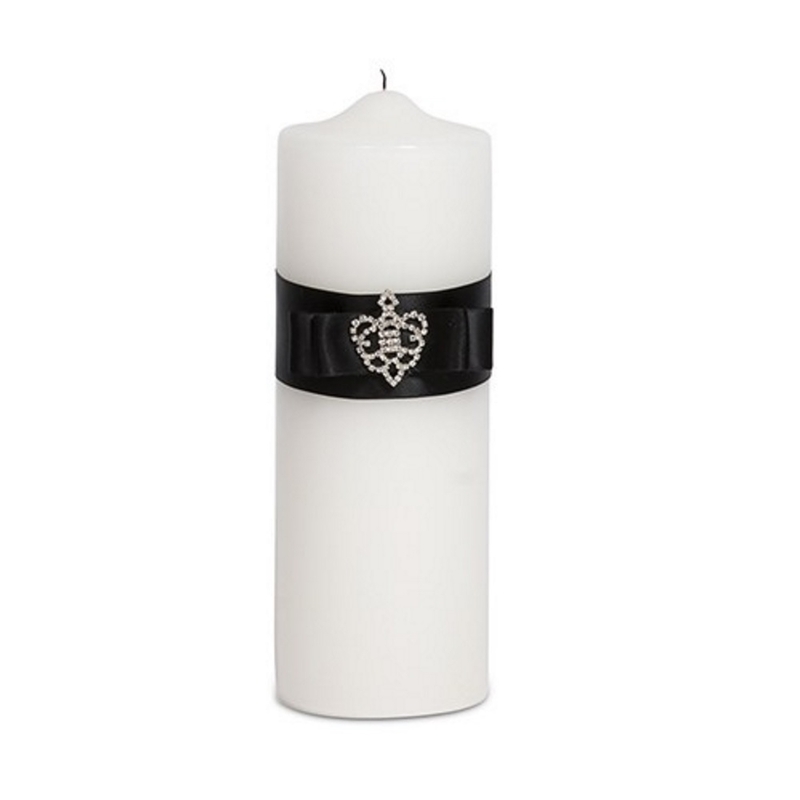 This 3' x 9' unity candle is wrapped in a broad satin ribbon with a decorative crystal adornment. The ribbon comes in three color options which are: white, ivory, and black. Lighting the unity candle is a moment to reflect upon. This Crowned Unity candle is decorated with a beautifully adorned crystal jewel, a detailed brooch to add a touch of royalty. The act of joining two separate families together is a symbolic and historical event for the newly joined family. What was once divided, is now being made whole and that is an occasion to rejoice.